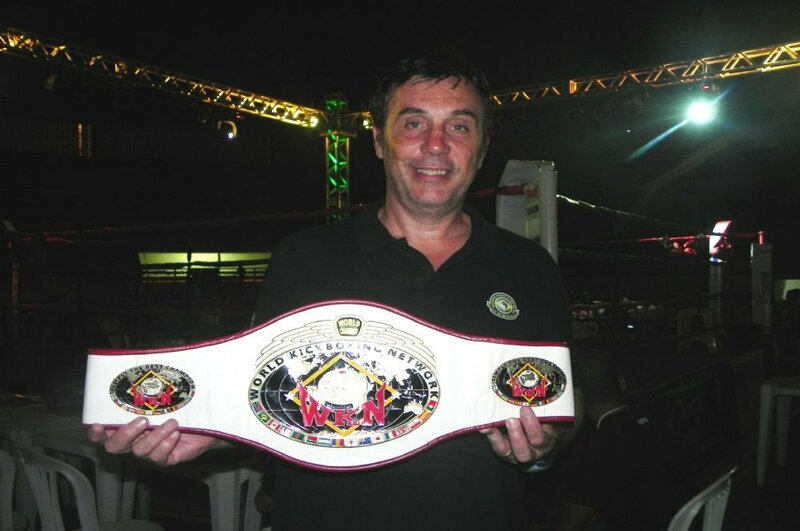 This August eminent promoter Sergio Batarelli brings together Brazilian Felipe Stievano Micheletti and Rogelio Ortiz from Argentina to square the differences in the WKN super cruiserweight kickboxing world championship held in Sao Paulo, Brazil. Micheletti and Ortiz battled in Match 2013 in Sao Caetano do Sul, Brazil. Punch to punch, kick to kick saw a skillful challenge of South American kickboxers. In the third round Micheletii landed left body shot, seeing Ortiz moving back, and the referee opened an eight count. Although Ortiz seemed keen to continue the bout was terminated with the result proclaiming a TKO victory of Micheletti. Thus it all comes to a logical rematch anticipated by both camps. Brazilian sets to confirm his victory and Argentine aims to prove wrong. Moreover, their up-coming challenge will be for grabs of a prestigious WKN championship belt. It all happens this August in the city of Sao Paulo in Brazil. Exact date will be revealed shortly. The promoter of the event is Sergio Batarelli. He is himself a former world kickboxing champion, and inventor of the International Vale Tudo Championship (IVC) in Brazil. IVC is one of the original MMA promotions that saw legends from Wanderlei Silva to Chuck Liddell. Batarelli has been involved in original K-1 in Japan, co-promotion of UFC events in Brazil, as well as in professional boxing being a manager of Esquiva Falcão Florentino.